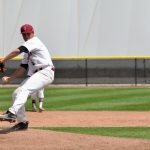 With two losses both by just one point against Bellarmine University on Sunday, April 23, the University of Indianapolis men’s baseball team has now endured five losses in a row. The Knights were the first to score in game one, but the Hounds were able to make it 1-1 in the second inning with a run from senior infield Ryan Wood after double from freshman utility Will Smithey. Junior third basemen Storm Joop brought in two runners to give the Greyhounds a 3-2 lead. The Knights would eventually take the lead and win in the eighth inning, 4-3. The situation was mostly the same in game two, with Bellarmine taking the lead and extending it to 3-0. Despite two runs in the sixth inning, the Hounds could not advance any farther, ending the game in the Knights favor 3-2. 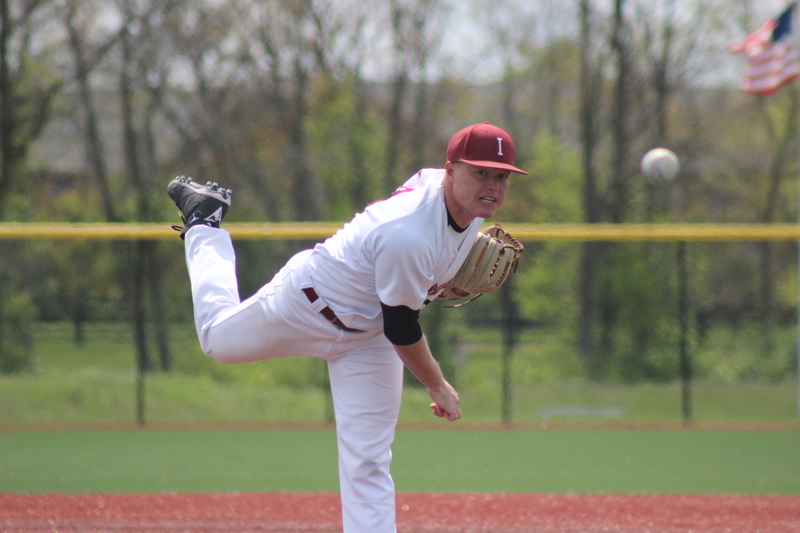 Prior to the game, Associate Head Baseball Coach Al Ready said the team knew it would be facing multiple challenges from Bellarmine. 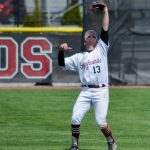 The Hounds played two doubleheaders against the University of Wisconsin-Parkside Rangers on April 14 and 15. In game one, the Hounds allowed the Rangers to score a total of five runs across the first and third innings. UIndy stranded two runners in the first, second, fourth and eighth but was unable to bring any players home and lost the game 5-0. Game two started off with five Rangers’ runs at the top of the first. Both teams scored in the fifth and the Rangers added two runs to their score. 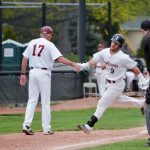 UIndy scored its first run of the day at the bottom of the fifth, thanks to a homerun from sophomore outfielder Kyle Orloff. Three Parkside runs in the sixth, and six runs in the seventh brought the score to 16-1 in favor of Parkside. 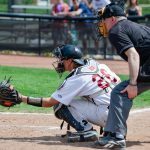 UIndy scored their final two runs of the day in the seventh inning off a single from redshirt freshman catcher Jake Perreira. With scoreless eighth and ninth innings, the win went to Parkside with a final score of 16-3. On April 15, the Hounds finished 1-1, winning the first game and losing the second. UIndy kept Parkside scoreless for the first five innings while scoring four runs from a homerun by Orloff and a hit from redshirt sophomore shortstop Macy Holdsworth. 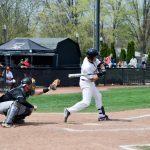 Parkside scored its one run at the top of the fifth, and UIndy responded by scoring two off a double from junior outfielder Conor White at the bottom of the inning. The final score was 7-1 in favor of the Hounds. Ready said that one of the things that was different about this game was how the team pitched. Both he and redshirt sophomore designated hitter Dylan Jones agree that having Sprinkle on the mound was key in helping the Hounds pick up the win. According to Ready, Sprinkle’s pitching has been a huge asset for the team. Despite the win early on in the day, game two ended in favor of Parkside. The first 11 runs of the game were scored in the first inning, with five from Holdsworth, redshirt sophomore outfielder Nick Miller and Jones. The second inning was scoreless for both teams but Parkside increased its lead in the third with six runs while UIndy scored one. The Hounds scored again in the fourth, gaining two points off a hit from Jones. Both the Rangers and the Hounds scored two in the fifth. UIndy added one run to its score in the seventh, thanks to a homerun from Orloff, his fourth of the season. Parkside’s unanswered four runs in the eighth left the score 21-11 in favor of the Rangers. Jones said that the weekend was a disappointment, and the team could have been playing better. 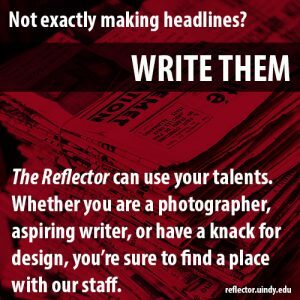 The team’s primary struggle, he said, was with pitching, despite Sprinkle’s performance. 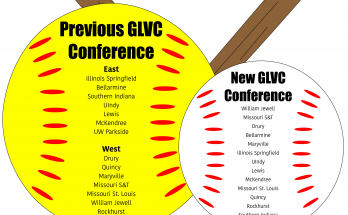 With two conference weekends left in the season, the team is beginning to shift its attention to the GLVC Championship and the Division II regional games in May. 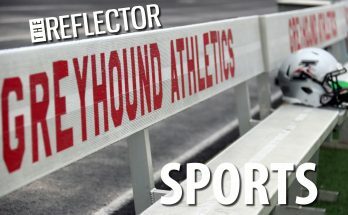 Jones said that the players are going to have to play their best over the next two weekends if they want to make it to the GLVC and regional tournaments, starting with their next game, when they travel to the University of Southern Indiana to battle the Screaming Eagles on April 29.